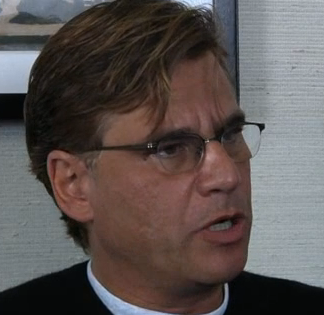 Video: Aaron Sorkin Talks Facebook Movie. Unsure Of Why He's Involved, But Loves It. He claims he was just 3 pages into the 14-page proposal about the book, when he knew he would do it. But it gets better. “If you asked my why I said ‘yes’, I’m not sure that I can give you a clear answer,” Sorkin says. Also crazy is that David Fincher (he of Seven, he of Fight Club) is still said to be in talks to direct it. I’ve read Sorkin’s first stab at the screenplay, and it’s pretty good, entirely too long (it would be about a 2 hour and 45 minute epic if it were shot as-is), but pretty good. Could a movie about Mark Zuckerberg and crew actually be decent? It’s starting to look possible. “I’m having a lot of fun with it,” Sorkin concludes. The video below is from the site MakingOf. As a side note, we love Sorkin because he wrote the words that inspired our best comment ever.